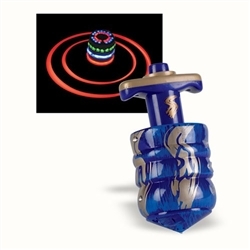 Fun dreidel with a wind up handle displays high-speed spinning action with 2 laser circles when released. Also flashes 3 different light shapes 32 times per second while playing music. Ages 3 and up.